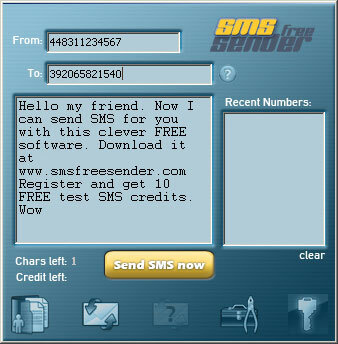 Send your Rss Feeds - SMS Free Sender is the leading free sms software on the market of its kind, which used to simple send SMS messages from PC connected to internet. With nice, simple and easy free sms software interface you can: 1. send SMS messages, 2. organize sms messages, 3. check sms delivery status, 4. manage your contacts in addressbook, 5. simple select recipient from recent used numbers, or addressbook. Automatically submit your RSS news feeds and blogs to over 80 top directories. Qweas is providing links to Send-Feed.com - Send your Rss Feeds 2010 as a courtesy, and makes no representations regarding Send-Feed.com - Send your Rss Feeds or any other applications or any information related thereto. Any questions, complaints or claims regarding this application Send-Feed.com - Send your Rss Feeds 2010 must be directed to the appropriate software vendor. You may click the publisher link of Send-Feed.com - Send your Rss Feeds on the top of this page to get more details about the vendor.